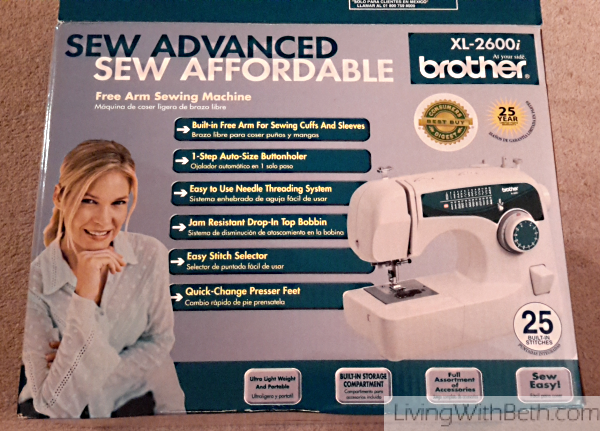 I received a Brother XL2600I sewing machine for Christmas, and have since then experimented with very minor sewing tasks. 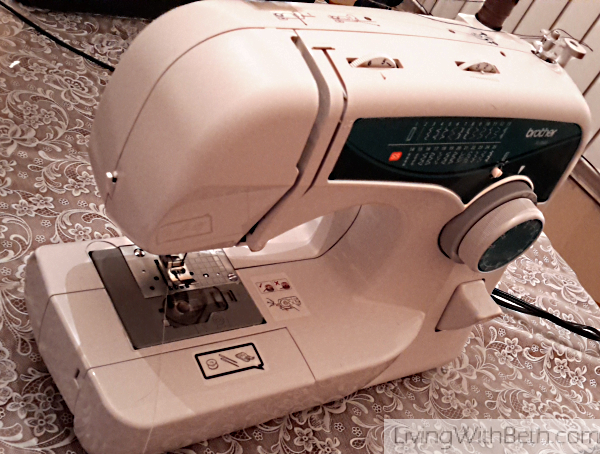 I wanted to perform simple sewing feats like hemming pants and fixing the trim that has torn off blankets. My older daughter tends to put the knees out of her jeans periodically. I was really excited when I cut off the legs of two pairs of her torn jeans and hemmed them into shorts for her. 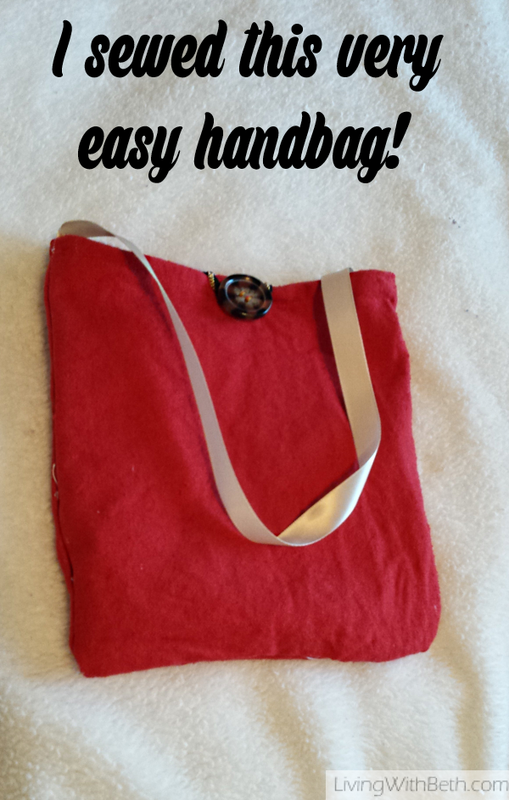 Recently, I came across this post from ThenSheMade.com with instructions for making a simple handbag and figured it was worth a shot. My crude attempt doesn’t look anything like ThenSheMade’s lovely bag, but prior to this year, I hadn’t used a sewing machine since high school home economics class. That was a really long time ago, I wasn’t terribly good at sewing back then, either. I think the bag turned out pretty well, thanks to the great instructions. I used the same fabric for all of it rather than making it reversible. I’d previously purchased the fabric at a thrift store. I had found the button in a drawer and couldn’t remember where it came from and bought the ribbon and decorative elastic from Walmart. I manually sewed on the button, ribbon and elastic to my handbag with a needle and thread. I owe any sewing machine skills I have to my wonderful friend Cindy, who came over a few months ago and showed me how to use my new sewing machine. I wouldn’t have gotten anywhere without her assistance. My 11-year-old daughter has also been using the new sewing machine. She’d never used one before, so I passed on what knowledge I had from my friend, and she ran with it. I’m hoping she’ll try the handbag, too, and she’ll probably do a better job of it. She already sews a much straighter seam than I do. The fabric I’ve picked up at a thrift store has been fantastic for our sewing endeavors. Someone’s unwanted, leftover fabric gives us materials to practice on by making items like pillows and purses. My daughter has already attempted to make clothing (without a pattern), but my own intentions are less ambitious. In the future, I hope to try making a decorative pillow using these instructions from Budget Girl. I also want to find a pattern/tutorial for making a chair cover. Any ideas?